Article reposted in partnership with Wonderful Machine. Wonderful Machine is a production company with a network of 700 photographers around the world, including many photographers who use liveBooks. Today we’re featuring Wade Griffith Photography and one of his latest projects. “A few years ago, Cinemark contacted Dallas-based photographer Wade Griffith about photographing their first Luxury Loungers. He shot a couple of chairs and one model in-studio, and they used those images for several years for all their marketing and branding needs. 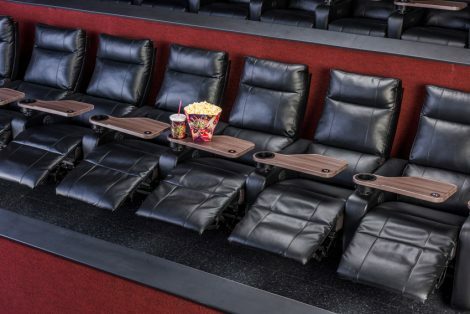 This year, Cinemark reached out to Wade again to do a much larger shoot using six models and featuring their updated Lounger design in two different Cinemark theaters located in the Fort Worth area. Wade was excited when he received the call and was thrilled to expand what he had started in the first shoot. The goal of the campaign was to advertise and market these new Cinemark Luxury Loungers to a diverse audience. 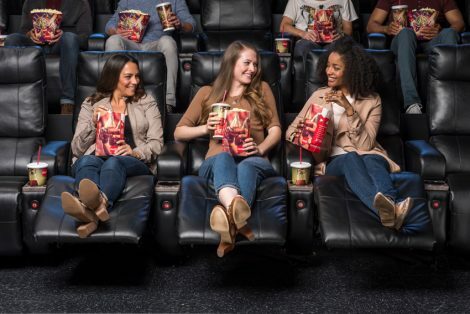 The photos were aimed to help show that the updated recliners are electric-powered, plush and oversized and that they also have footrests and cup holders. 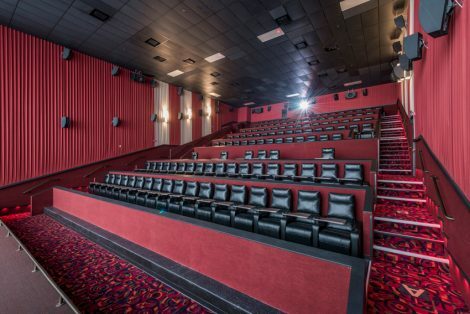 The tagline of the project was “The Best Seat In Town,” which reinforces the notion that these chairs are the most comfortable and enjoyable way to view a movie anywhere. Once Cinemark contacted Wade about the shoot, he put them in touch with his producer, Kaylah Key, who then handled all the details and coordination of the project. After several emails and phone calls back and forth with Cinemark, we were able to put together an estimate and timetable that was mutually agreed upon. Days before the shoot they scouted both Cinemark theater locations in Plano and Allen, Texas to review the shot list and discuss the strategies that would make this shoot a success. The shoot was completed over a two day period. The goal was to get 40 final images of the Luxury Loungers with and without models and props from various angles. The crew arrived each day at 8 am with the shooting scheduled to begin around 9 am and wrapping up at 6 pm. Wade enjoyed working with both the models and the production team. The Cinemark staff was also very nice to work with, as they helped stage and approve the images as they were taken. In addition to the scheduled shots, Wade also captured some wide angle shots of the entire theater to supplement what he had. Overall, we had a great team and we were very happy with the results of the shoot. The main challenge to getting the best images possible was setting up the lighting equipment in the theaters. When they got there the first day they realized they had underestimated how long it would take to set up. We had a very large scrim that we were using as a shoot through and putting it together ate up most of our setup time. So, there was some pressure to make the time up once we started shooting, which we did. The campaign has just been released to the public and all the feedback Wade has received from people has been very positive. The client was very happy with the photos and Wade believes they captured exactly what they were hoping for. I love being on set with a great team of creatives and interacting with the models all day long. It’s an exciting experience, and I enjoy the collaboration that takes place to create great images.